A primary goal of the Green River Police Department is to make our community a safer place to live. The GRPD promotes and encourages safety and education to the citizens through a variety of prevention and deterrence programs and services, Green River continues to be a safer place to live for us all. The department offers many different learning opportunities to the community, in our schools and other events. We have department patches that can be sent to you upon request. 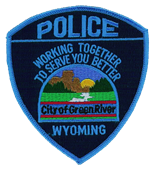 Individuals requesting a City of Green River Police Department shoulder patch need to send a self-addressed stamped envelope and $3.00 to the Green River Police Department. The $3.00 fee goes towards the patch program, so we can continue to have these patches available. Email or Facebook requests for shoulder patches will not be honored. 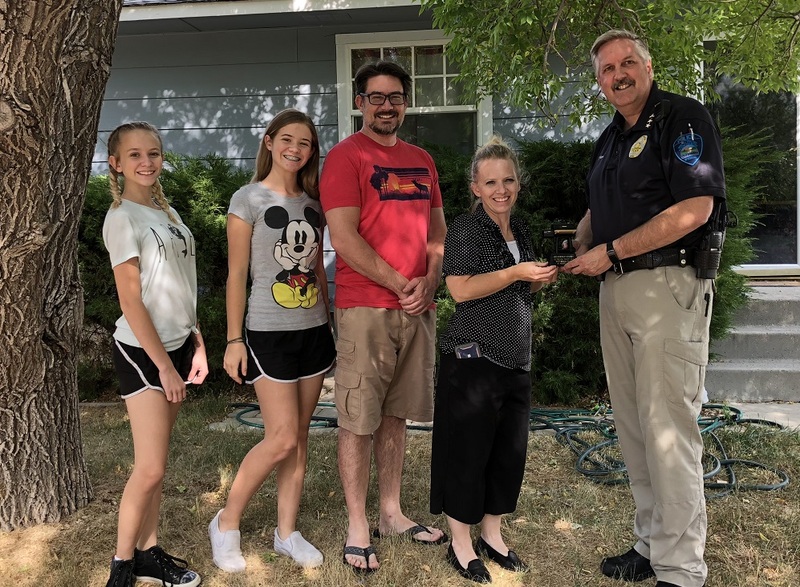 The Green River Police Department participates in the Crime Stoppers Program. The program is designed to be a cooperative effort between the police department, local business, and the community. Business owners interested in participating should contact Jamie Green. Citizen's with information can report a crime through email or can simply call dispatch at (307) 875-1400. Check out our website at http://www.sweetwatercitizens.crimestoppersweb.com/. 1. Use our website to submit a tip. and add "307tip" to the beginning of your text. Safe2Tell Wyoming relies on key relationships with school district staff, local law enforcement agencies and school resource officers to respond to critical, life-saving tips. Students, parents, teachers and community members can call a toll-free confidential tip line, 1-844-9967233 and give a trained professional call taker the information, submit their concern in a confidential online web report, or upload their concern confidentially through a mobile app. Calls, web and mobile app reports are answered 24 hours/day, 7 days/week, 365 days/year at the Wyoming Highway Patrol communications center. The caller is given a code number and password to preserve confidentiality. Information is forwarded to a team of proper officials, designated school contacts and law enforcement, who will respond to the concern or threat. All valid information received through Safe2Tell Wyoming is forwarded for investigation. Safe2Tell Wyoming tracks the outcome of all forwarded tips through disposition reporting. Don't get caught up in fraud, never give out personal information. Be suspicous if a callers states that you've won money, a prize, or a free gift. You must pay for processing, shipping and/or taxes on your "free gift". You must wire funds, send money, or gift cards. Caller states you have a warrant out for your arrest and must pay "NOW". Do: Set up account alerts and/or credit monitoring. Do: Learn about common financial exploitation schemes and ploys. Do Not: Send money or give out personal information. Do Not: Respond to, or pay up front for, an offer, threat, or request, that you do not understand. Report: What to do if you think you may be a victim of fraud. Call you r bank and/or credit card company if you suspect fraud. Call the fraud department of the credit reporting agencies. 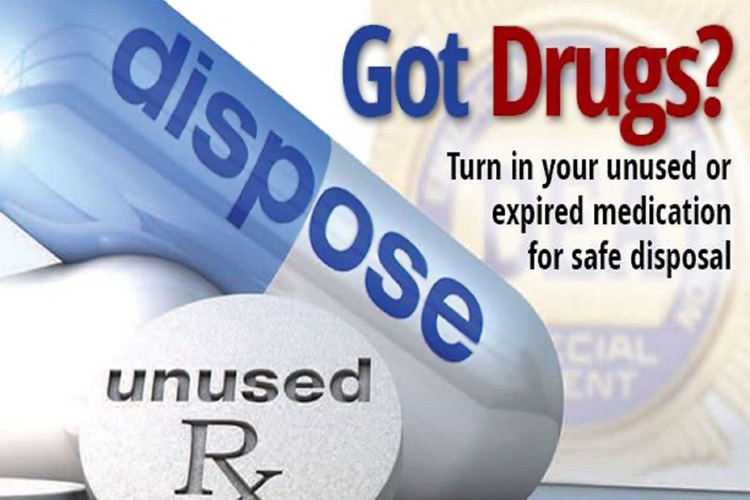 In response to the growing demand for a safe and convenient way to dispose of household prescription medications, there is a drop off box located in Green River Police Department lobby where residents can drop off unused or expired prescriptions- no questions asked. We also participate in the DEA Drug Take Back event. The bi-annual National Prescription Drug Take-Back Day aims to provide a safe, convenient, and responsible means of disposing of prescription drugs, while also educating the general public about the potential for abuse of medications. These programs not only help to protect the environment, but it can also deter the usage of prescription drugs by unintended parties. We ask that only prescription medication be placed into the drop box. 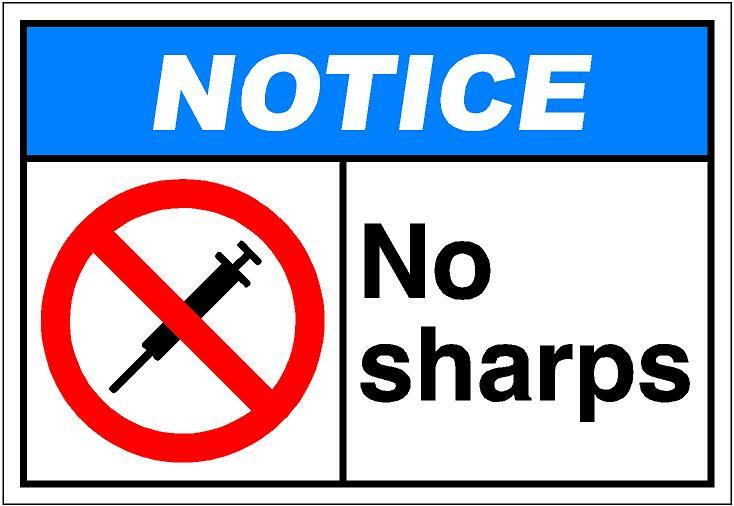 Sharps are not accepted at our location but can be taken to Castle Rock Medical Center as long as they are properly packaged in a sealed sharps container.